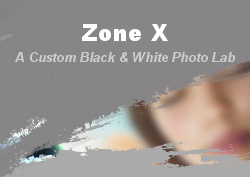 Welcome to Zone X, a custom black & white photography lab located in Denver, Colorado. We are a custom Black & White photography lab, specializing in film processing/contacts and enlargements. RC or fiber based printing options are available.